I am hoping that you all are doing well on this monday morning and ready to tackle the week you have ahead of you! I personally, am fresh off my trip to Austin and I cant wait to share all the deets about that with you. But today, I wanted to share with you something that is becoming a favorite of mine in my real blog life. What those of you that don't blog might not know is all the work that goes into this blogging thing. You have the actual writing good content that people want to read part, then the designing images part, and then there is the advertising and sharing your posts for people to see. That can be the hard part. Especially with all the different social media channels and the different parameters surrounding each. It can get really time consuming and pull you away from other things. If you are like me and have a family and real life outside of your computer, you need something to help it all come together. For a long while, I was trying to manage all that stuff myself for each and every post that I would write. I would try to post it here, then post it there, and make sure the times were optimal and all that. Then I found CO-SCHEDULE and it absolutely changed my blog life. Those of you who blog, already know the struggle I speak of. If you are not already using CoSchedule, no worries, I am here to help you go get your life together RIGHT NOW! CoSchedule is a drag-and-drop editorial calendar for WordPress that puts your blog posts and social media messages on the SAME schedule, in a user friendly interface that you can access via your wordpress dashboard or directly through the web. With CoSchedule, not only can I schedule my own posts to social media, but I can schedule regular social media postings which can really come in handy if you are the owner of social media groups, or offer sponsorships where you are sharing others content. It keeps you from being strapped to your devices at all times freeing up time to spend with those people out there in your real life, remember them??? But really, how awesome is that? You just schedule your stuff out, and then be on your way to tackling the next thing on your task list. Calendar integrates into your wordpress dashboard. You can schedule posts and social media posts and then move them to another date by just picking them up and moving them if needed. You can schedule your blog posts to social media within your post editing screen as you blog. For me this makes it easy to grab content from the excerpt or within the post as a tagline for the social media post. You can easily schedule old blog posts to reintroduce them to your audience or new followers to help keep them alive! You can try CoSchedule for free, kinda like the dating period, for two weeks, and if you are madly in love with it, like I was, you can go ahead and say “I DO”. I promise it will be a match made in heaven…. 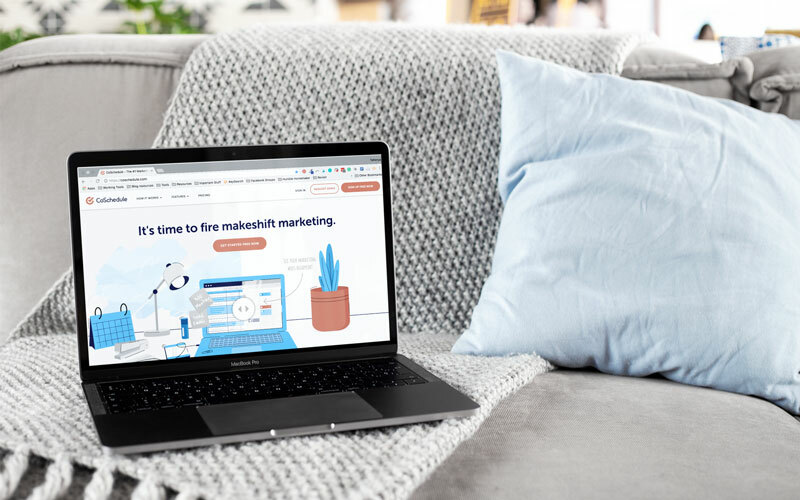 CoSchedule is only $10/month and integrates with WordPress, Twitter, Facebook, LinkedIn, Buffer, and even Google+ Pages. There are opportunities to get the monthly rate reduced also. While I don't have a huge following, it is worth every bit of that TEN BUCKS because it is helping my numbers grow and allowing me to be more interactive with those that do follow along with me. My blog is a solo effort, so I do it all. But if you are one of those people who has a team that helps or have multiple content publishers it also has team integration where you all have the ability to post and schedule and see what you all have in the works on the calendar. Heres a short video that can show you better than I can tell you. I could go on and on about it, but really, you just have to try it for yourself. If you are truly ready to simplify your life, organically grow your followings on the social media platforms I mentioned, and spend more time away from your computer living so you are inspired to write, you can do so right now, right here! I promise you won't be disappointed. If When you try it out, come back and let me know what you think. I'll be waiting…. Wow! Didn’t know about this. I’ll have to check it out.